The Nokia X1-01 is an iteration over the very affordable music-centric Nokia X1-00, but it offers something many users are interested in – dual-SIM functionality. While Nokia is surely hard at work developing cutting-edge Windows Phone designs, this hasn’t stopped the Finns from thinking about developing markets and affordable phones. 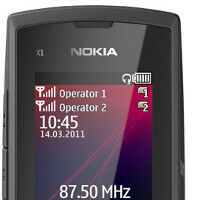 The dual-SIM Nokia X1-01 is certainly affordable with a suggested price tag of nearly $48 (34 euro) off contract. Except for its bombastic loudspeaker, the X1-01 offers outstanding battery life with up to 43 days of standby time, 13 hours of talk time and 36 hours of continuous audio playback. The Nokia X1-01 release date is not specified, but the phone will ship this quarter with Series 30 on board. 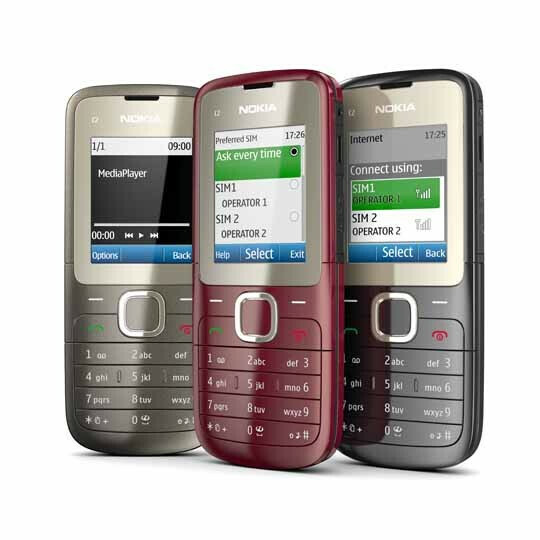 In addition to the new addition to its roster, Nokia announces that it has started shipments of another dual-SIM phone – the Nokia C2-00. The C2-00 is also very affordable with a price tag of some $63 (45 euro). - Up to 32GB microSD cards supported. Both phones can remember settings for up to five SIM cards and work in dual-standby mode, allowing both cards to stay active at all times, while it’s up to the user ot decide which one to use to make a call or send a message. Nokia plans on offering the phones in India, China, South-East Asia/Pacific region, Middle East and Africa, Eurasia and Brazil.